On Saturday, artist Ron English completed All American Temper Tot, a new large-scale mural at New York City’s Lower East Side street art exhibition wall, the Houston Bowery Wall. 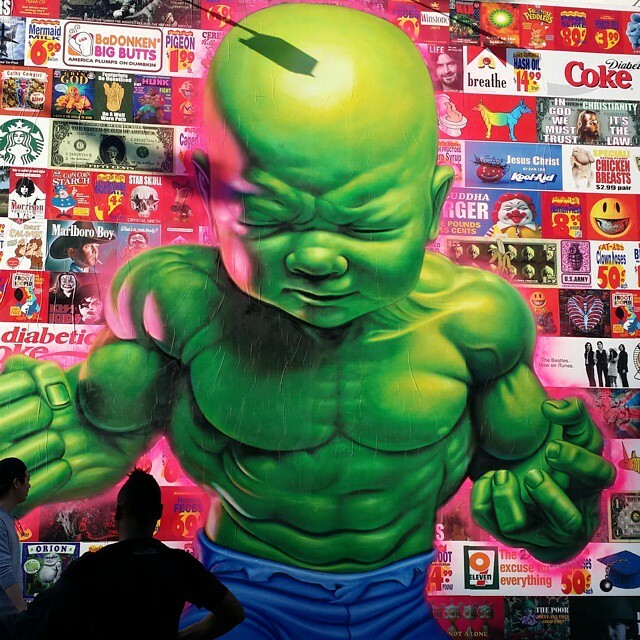 The mural features English’s recurring Baby Hulk character (aka “Temper Tot”). The figure is standing in front of an American flag made up of English’s satirical pop culture and advertising images. In recent years, the Houston Bowery Wall has featured works by a number of contemporary artists.